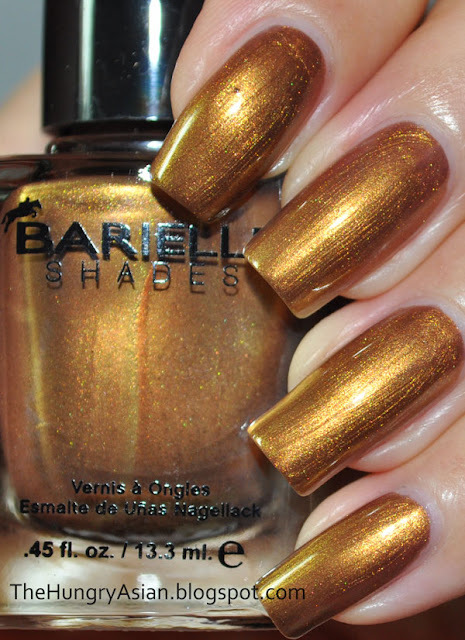 Barielle has 6 new shades for the holidays. Unless stated, I'm not wearing a topcoat. Coaldest Day Of The Year 2 coats. 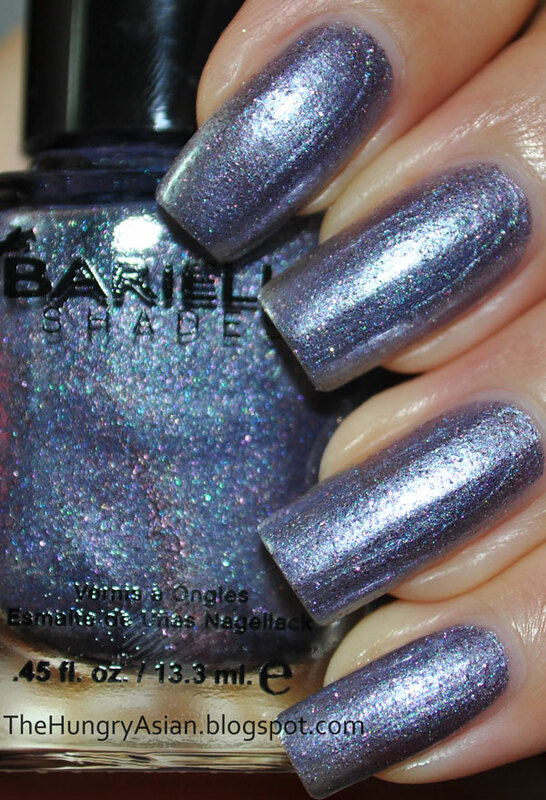 A dark metallic grey. Get Me To The Party 2 coats. 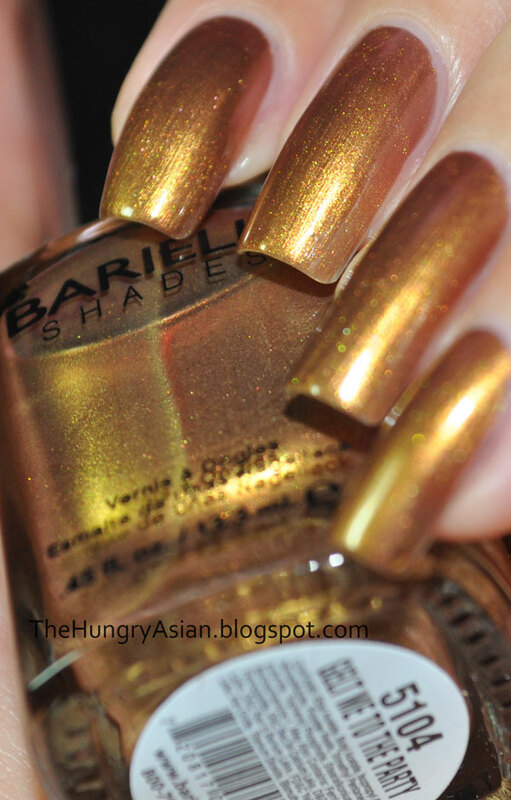 A metallic coppery gold. The warmness makes it look antique. This one does show brushstrokes. Snow Day 3 coats. An icy blue frost. It didn't look this frosty in the bottle! Again this one shows the brushstrokes so apply with care. Wrap Me In Ribbon 2 coats. Metallic dark pink with a subtle but pretty shimmer (slightly frosty look). This one was more forgiving on the brushstrokes so it was easier to apply. My favorite of the bunch, I'm a sucker for pinks! Jess' Champagne Toast 2 coats with Seche Vite topcoat. Metallic silvery purple with super fine pink glitter. The pink glitter was hard to photograph it disappears on the nail a bit but it's there. 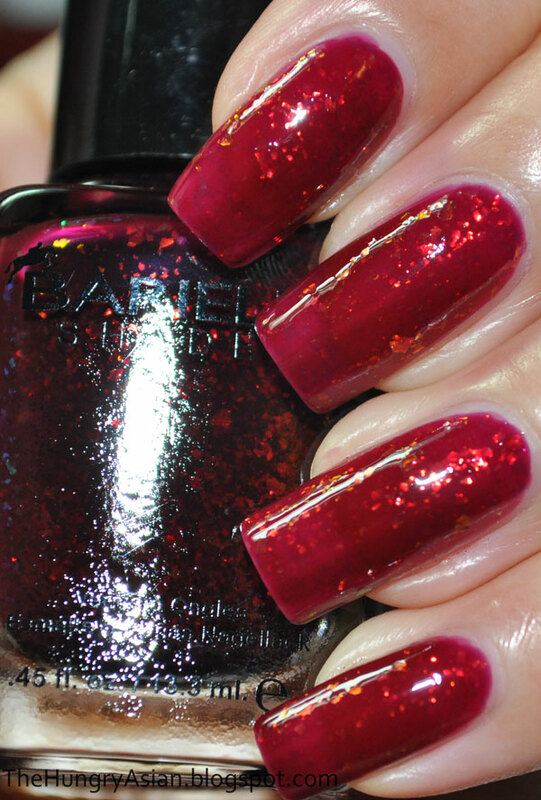 The glitter though is lumpy so you need a thick topcoat. Elle's Spell 3 coats. 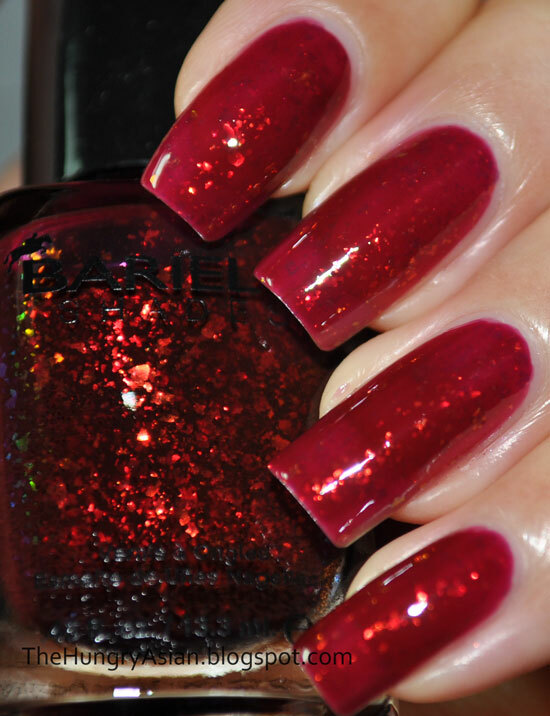 The sheer base looked very raspberryish until I applied my 3rd coat and it turned a cranberry red. The flakes aren't as iridescent once on the nail but still very pretty nonetheless. I thought Snow Day was too frosty for me but other than that one this a shiny, sparkly collection that I enjoyed. You can get this collection at Ulta HERE. 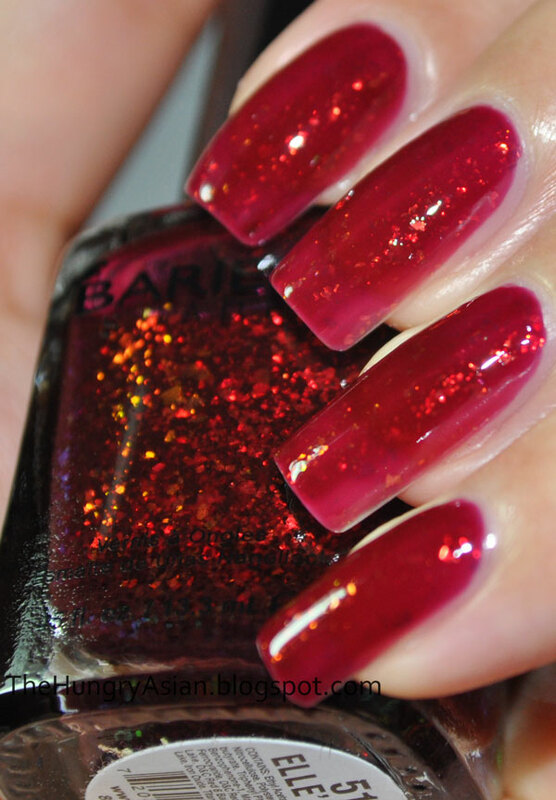 They have a special price for Barielle it's $6.00 each and through the month of October it's buy 2 get 1 free. Club Nintendo Rewards Has New Items! Fun pictures - Totally random post!